I suspect it put up quite a fight, but Greg Gasiciel was up to the challenge. The smallmouth bass he hooked last Sunday while fishing a green grub weighed 9.33 pounds. A quick story on MLive shares a few more details. The prior record was 9.25 pounds. Read on: Man breaks 109-year Michigan record. 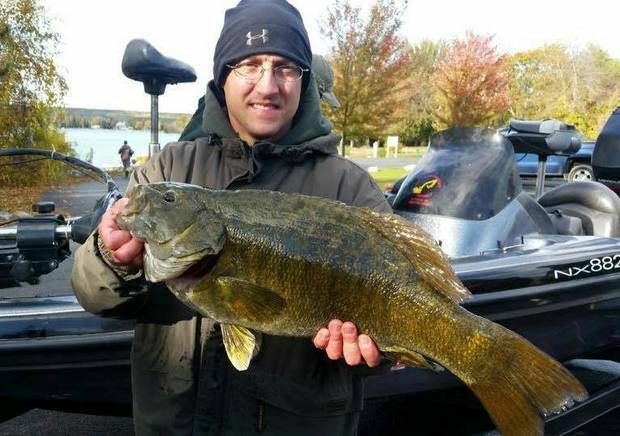 This entry was posted in Uncategorized and tagged Fishing, Smallmouth Bass, State Record Fish. Bookmark the permalink.